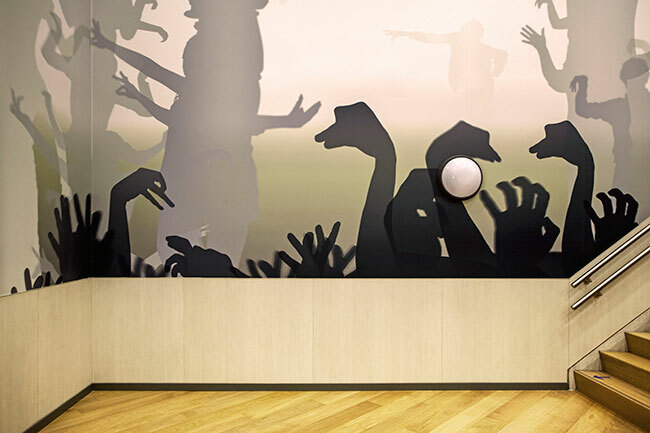 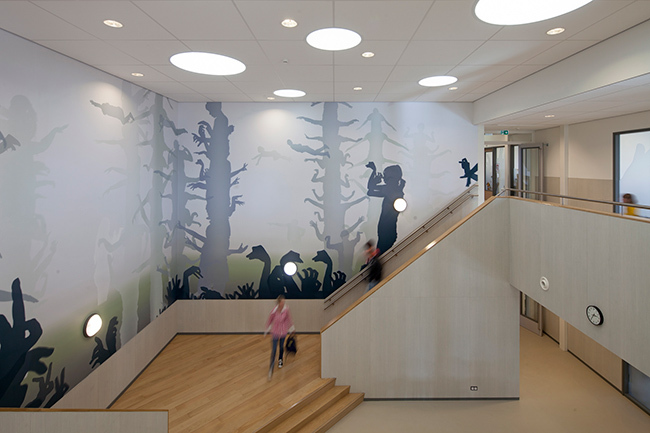 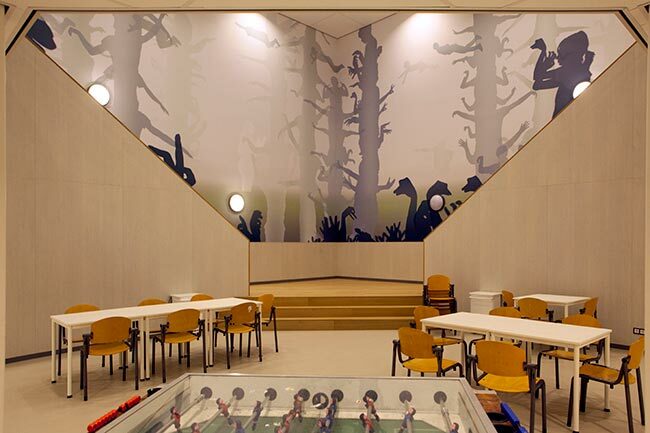 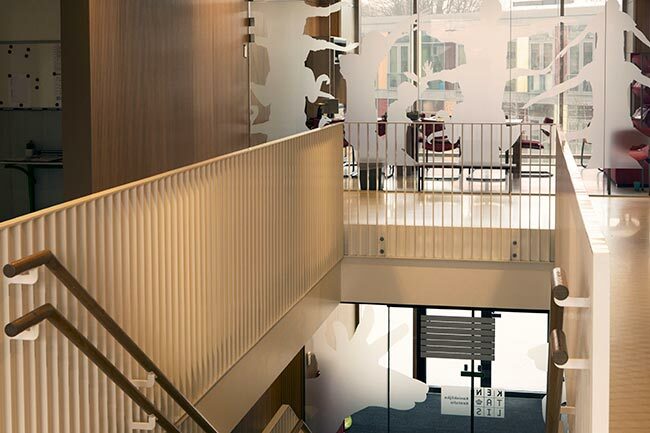 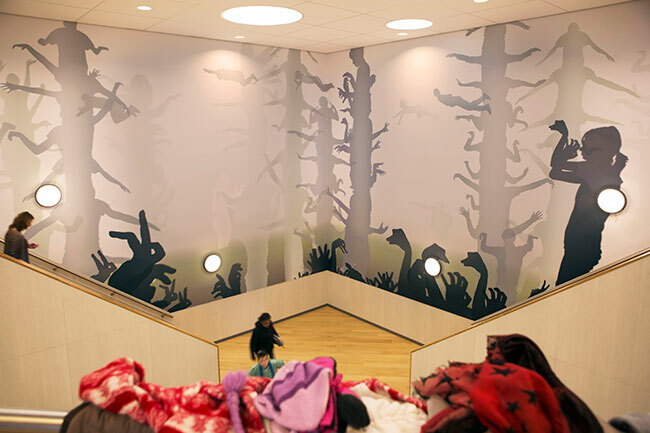 Kentalis was very enthusiastic about the façade artwork ‘Once upon a time’ I made for their new building (commissioned by the municipality) and asked me to design the wall coverings of the Auditorium. 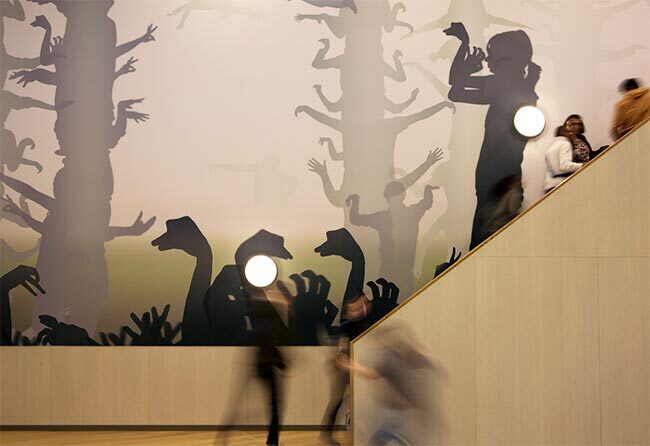 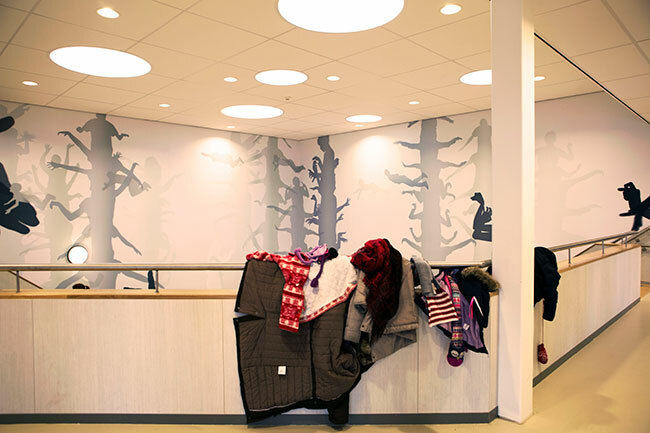 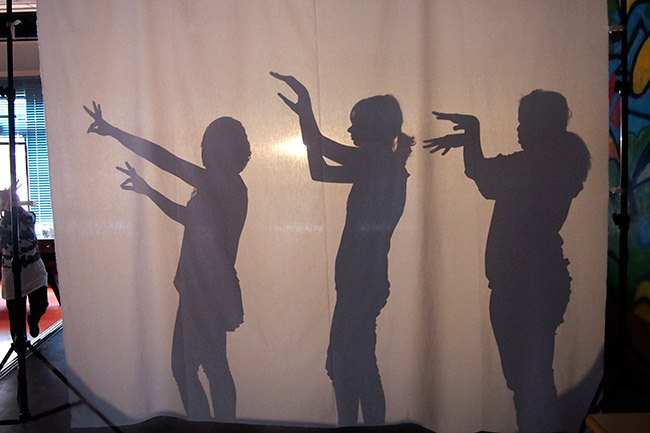 In the wallpaper you find the silhouettes of pupils mixed with animal-silhouettes of the facade. 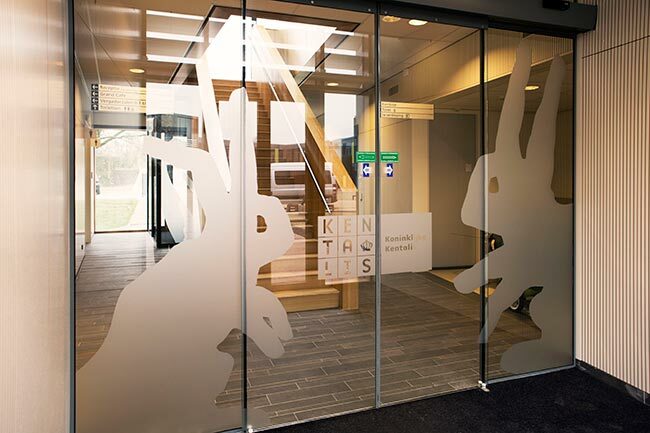 In addition, I designed etchglas foils for 280 (!) 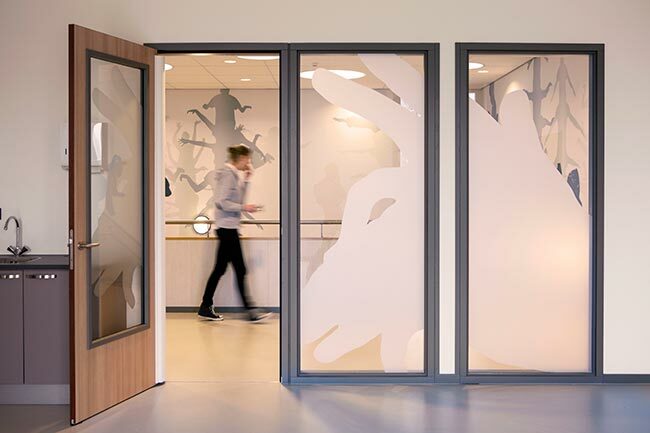 glass walls, doors and windows of the building.